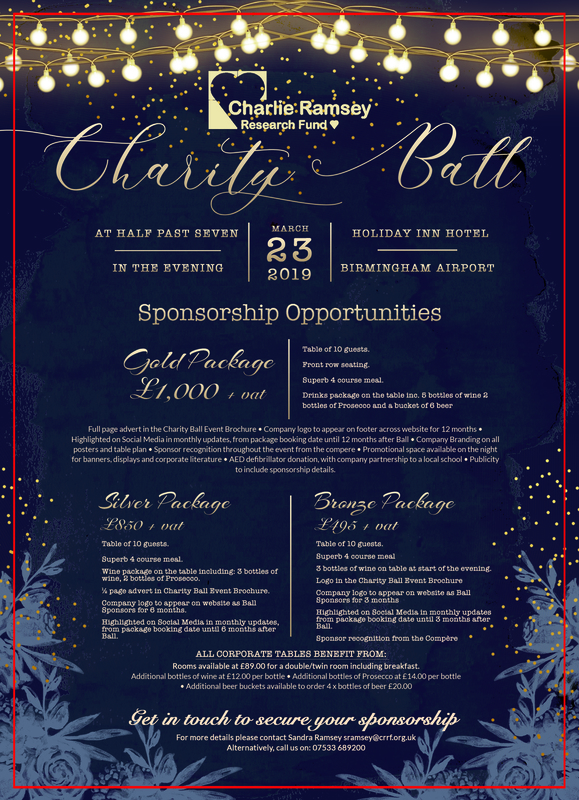 After the success of our Charity Ball in 2017, the Charlie Ramsey Research Funds are holding there 5th Black Tie Charity Ball. Tickets are now available to purchase alongside Corporate Packages to suit all budgets. A great night of food, entertainment and fun for all whilst raising funds for a cure for children and young people living with half a heart.